Disclaimer: The Jomo Haka sent to us for the purpose of this review is a sample and does not have to be returned to Jomo Audio. Thank you for giving us this opportunity. So what is a Haka? The ‘Haka’ is a traditional war dance or challenge in Maori culture. You will most likely have seen it on TV if you are a Rugby Union fan with the New Zealand All-Blacks infamous pre-match Haka routine designed to deliver fear into the hearts of their opponents. Only ever works on the Poms though, but I digress. 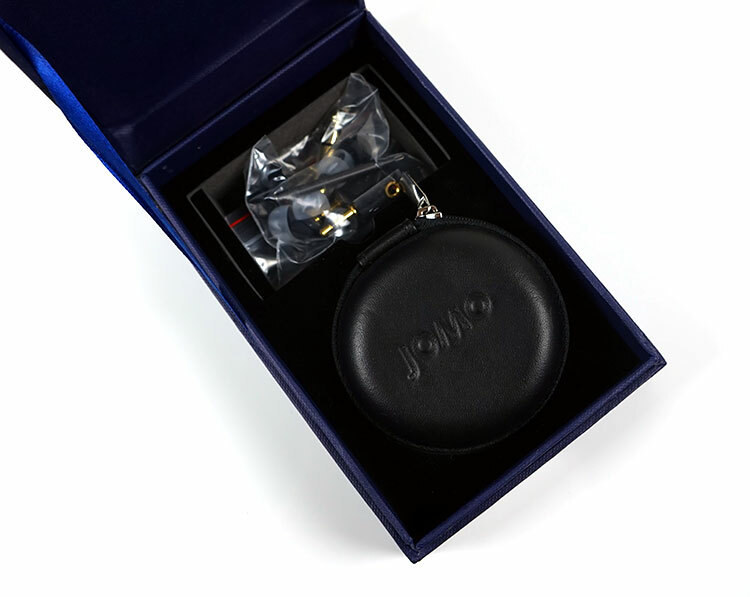 In this case, a Haka is Singapore-based Jomo Audio’s latest universal IEM and their cheapest to date at SG$499. This is a single balanced armature driver design. However, it ignores a lot of perceived norms in terms of stock BA designs. Jomo Audio believe that by leaving out a lot of these norms and bringing in their own specifications they have managed to break out of the traditional limitations of single BA performances. To date, BA driver design often works best when they target particular ranges of frequencies rather than the entire spectrum. Hence the use of multiple-driver BA designs to produce a performance that covers the entire range. However, a lot of people enjoy single BA designs because they are perceived as being more coherent with less crossover technology. Jomo Audio believe that today’s single balanced armature IEMs in the marketplace are just too meek with only a moderate extension on either end of the frequency spectrum. 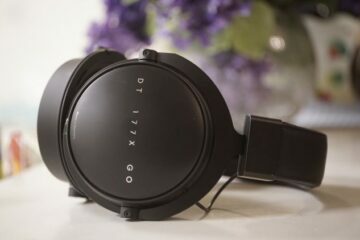 They argue that the majority of single BA drivers rely too much on crossover technology and acoustic dampening to get that full frequency spectrum performance. The pitch of the Haka is different. There is no crossover technology inside. Rather, this is a proprietary single balanced armature driver that Jomo Audio has commissioned with their own specification in mind to deliver a full-range performance without resorting to traditional technology. 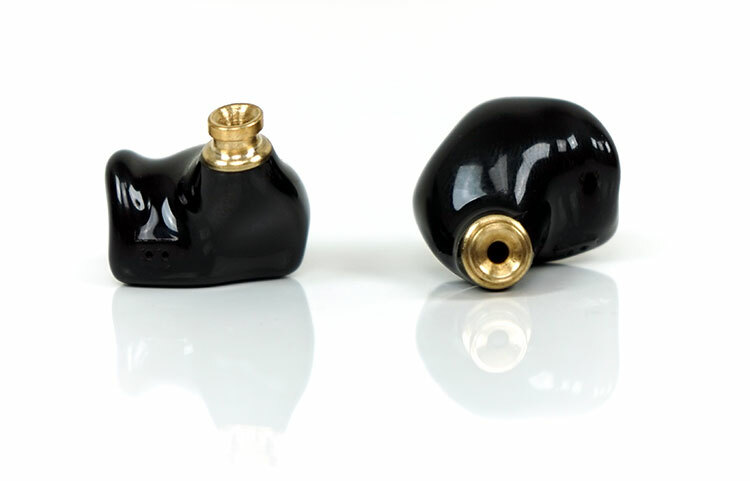 The Haka is a fairly small contoured 3D-printed IEM not unlike the IT03 and IT01 from iBasso. The overall size is a little bit smaller than the PLB and roughly the same size as the YK1 from Aya Audio. It differentiates itself from both of those with its more aggressive contouring which produces a really unique, almost CIEM like, design. 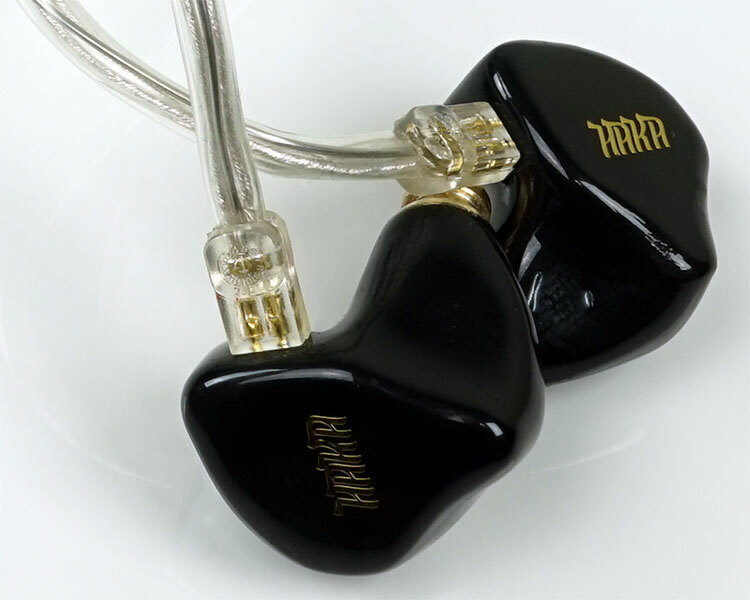 In fact, I actually prefer the form factor of the Haka over Jomo Audio’s more expensive PLB triple BA IEM due to its superior lower shell contouring. The Haka has that little dip in the lower shell that rides the concha ridge in your ear and in doing relieves a little bit of pressure that can build up with other IEMs that lack that dip. It also produces a superior seal. The PLB does not have that little dip and is more rigid in its lines. As good as a seal and fit the PLB is, the Haka is better. Given the use of the Haka name, it is unsurprising that it comes in one color, black. The only deviation from black is in the gold colored finish of the Haka moniker on the front face plate and the brass nozzle. The main body is composed of a 2-piece hard acrylic shell, not unlike the custom designs Jomo use for their high-end designs. The single-bore brass nozzle is distinct from the body rather than an extension of the lower shell. this is quite different to the PLB all acrylic lower-shell design. The brass finish on the Haka nozzle is excellent with a strong lip contour so tips are unlikely to fall off. The Haka is terminated with a top-shell non -recessed 0.78mm 2-pin connector port so the cable is designed to be worn over the ear. Thankfully, the port is not too tight so the 2-pin connectors on the cable slide in and out with just the right amount of resistance. There is no wiggling or wedging required to detach the cable from the IEMs. The cable itself is a tightly braided 1.2m SPC 4-core wire wrapped in a PET jacket. You will find transparent heat-shrunk memory tubes on the end of both connectors. They are a little thick but they have great memory retention for shaping around most ears. The jack is a 3.5mm unbalanced stereo jack finished at a right angle with a sold stress relief finish. The same stiffened rubber finish of the jack is used for the y-splitter and adjustable chin strap. You also get a nice little silicone jack for the 3.5mm jack tip, something I am seeing happening from cable makers more and more. It is a nice touch. The microphonics is also very low also and it does behave itself rather well with little or no memory retention. I can’t confirm if this is a Plastics One cable but on a physical level, this is one of the better ones. The Haka nozzle is deceptively quite long. The brass part is not that long but the curved finish fo the acrylic shell does extend a bit which pushed the brass nozzle further forward. As a result, the nozzle will give you a fairly deep penetration with one of the selected tips, especially the supplied dual flange tips. The comfort is excellent. As mentioned the dipped contour on the underside wraps really nicely around the concha ridge minimizing any undue pressure on the outer ear from the Haka body. This also allows the nozzle to creep in a little further. The Haka sits rock solid in your ear with all the supplied tips. The silicone single bore Tennmak Whirlwind tips have the least amount of seal. If you want the best seal for the Haka then use the supplied double flange tips which improve the background isolation greatly. Surprisingly, no foam tips came with the Haka which would have created the best seal. I presume they were left out due to how they may affect the performance of the Haka. Personally, I found a generic set of foams to be fantastic with the Haka bringing it to a whole new level. The double flange does soften the response a little compared to the Whirlwind tips and not my favored pairing. The Whirlwind tips have a wider bore which does deliver an airier cleaner sound without the loss of low-end impact. Compared to generic foams though it does come at the cost of some isolation. As ever, Joseph and his team and put in a considerable amount of time producing a really professional look and feel to their retail package. Whilst not as feature packed and striking as the PLB presentation it is nevertheless more than adequate for this price point and it does look very nice in its all black retail wrapping. The only missing accessories I would have loved to have seen was a set of foams in medium and large size for those that want a little more isolation. Other than that the Haka package has everything you need to get up and running. How do they compare to CustomArt’s FIBAE 1? 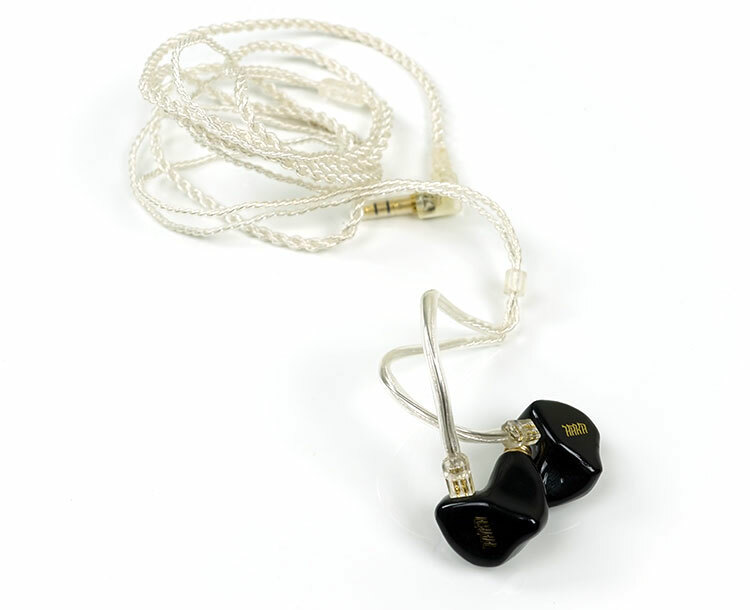 Fibae 1 is more neutral and the Haka has more of a low end hump and top end sparkle.